What is the best way to help prevent esophageal cancer if you have GERD (gastroesophageal reflux disease)? Or, to put it another way, are there specific ways to lower the odds of ever developing esophageal cancer if you have GERD? Chronic acid reflux disease is a risk factor for cancer of the esophagus. The esophagus is the so-called food pipe. The chronic coating of the stomach’s acidic contents on the interior lining of the esophagus changes its cellular structure over time. The cells become similar to those of the small intestine when this happens. This is a condition called Barrett’s esophagus. If you’ve been diagnosed with Barrett’s esophagus, you have a risk factor for developing a malignant tumor in the esophagus. There are things that you can do, says Dr. Maxwell Chait, MD, gastroenterologist at ColumbiaDoctors Medical Group in Westchester County, NY. This may sound like advice to stop having fun, but giving up your vices sure beats sitting for hours receiving chemotherapy through a drip bag after being told you have a disease with a five-year survival rate of only 19.2 percent. Is that next cigarette, drink or bucket of fast-food fried chicken worth it? Think you’re too young to worry about any of this? 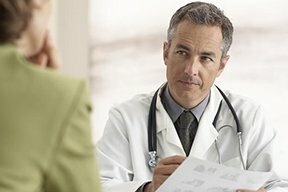 Additional data from the National Cancer Institute Surveillance, Epidemiology, and End Results Program says that 10.4 percent of new diagnoses occur in people 45 to 54, and 27.1 percent occur in people 55 to 64. If you’re in your 20s or 30s, you’re not immune. But another point to consider is that the sooner you start prevention tactics for esophageal cancer, the better your chances are of never being diagnosed with this illness later on in life. Dr. Chait continues, “Treatment of GERD with acid reducing medication to lower acid reflux” is yet another strategy. Why Can GERD Cause a Stomach “Hiccup”?